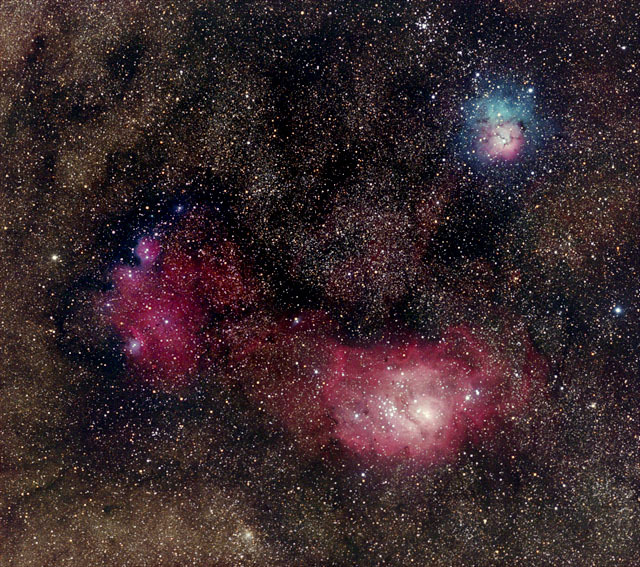 The Lagoon is the larger nebula at the bottom. The red color arises mainly from hydrogen gas. The smaller Trifid at the top is also an emission nebula, but it has reflection components, which are regions of sparse fine dust that reflect the blue light of the stars. The dark veins in the Trifid are related lanes of cool gas in the foreground.